The ALLIANCE and SCOD are co-hosting a free GIRFEC training event aimed at parents and carers of the deaf and hard of hearing community. The Getting to Know Getting it Right for Every Child Team are pleased to announce a training session for parents and carers in the deaf community in Scotland. This workshop will take place on Saturday the 21st April from 10am (for 10.30am start) – 2.30pm at the Sense Scotland offices in Glasgow. BSL Interpreters and electronic note takers will be at the workshop. This workshop is aimed at parents and carers of children and young people in the deaf community (can be either deaf or hard of hearing parents/carers, or parents/carers of children who are deaf or hard of hearing.). After attending this training, parents and carers will know more about the Getting It Right For Every Child Approach and how they can use this, where they want to, to help improve the outcomes for their children. Workshops and the GIRFEC resources will be available free of charge. Lunch will be provided at this workshop, please contact sarah.wardrop@alliance-scotland.org.uk to advise of any dietary requirements. Teas and coffees will also be available at the session. 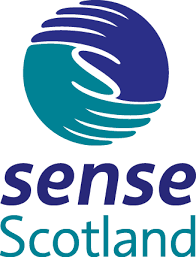 The workshop will be facilitated by Ronnie Hill, ALLIANCE Associate Director and Third Sector Implementation Advisor, Scottish Government Getting it right for every child team; and Derek Todd, Project Officer at Scottish Council on Deafness. Please note, these workshops are very likely to be oversubscribed and early registration is advisable. It would also be helpful if you could let us know if you have any specific accessibility requirements by emailing sarah.wardrop@alliance-scotland.org.uk.